Our Neighbor’s Place is a collaborative seasonal shelter that rotates between several churches in Erie, PA, including First Presbyterian Church of the Covenant. On many cold winter nights, while most of us are warm in our own homes, First Presbyterian Church of the Covenant Elder Pat Tracy and Associate Clerk of Session Dale Sweet are in Knox Hall welcoming overnight guests to come in from the cold, offering a warm meal and a safe place to sleep for the night. Pat and Dale oversee the running of Our Neighbor’s Place seasonal shelter for those without homes while at First Covenant. 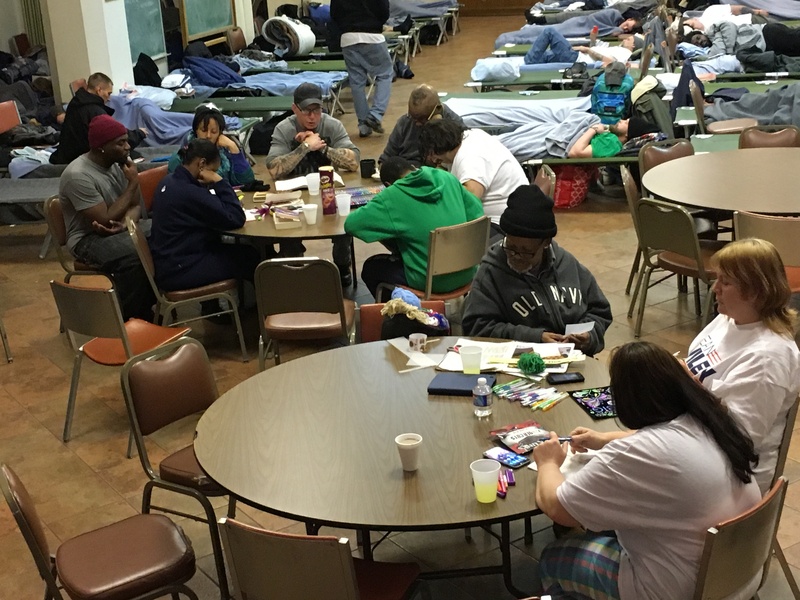 How First Covenant and other churches became a part of this program to house the homeless during the fall and winter months grew out of a necessity. There are simply not enough available beds on any given night in the City of Erie to house those who need them. For Pat, it was a call to action. That first winter was a learning experience for Pat, Dale and the army of volunteers they recruited to help run the overnight shelter. This became a new ministry at First Covenant and the beginnings of a transformation. Overall, members of First Covenant and the community have embraced Our Neighbor’s Place and are supporting this ministry that ran for 18 weeks during the 2018-19 season. First Covenant hosted eight of those 18 weeks. What became apparent early on was the complexity of the issues surrounding the homeless guests who came to the shelter. To ‘Love Thy Neighbor’ is at the heart of this ministry. Dale said it wasn’t just a learning experience but an education. Cots are lined up at First Presbyterian Church of the Covenant for those who are less fortunate in Erie. This type of ministry doesn’t just happen. 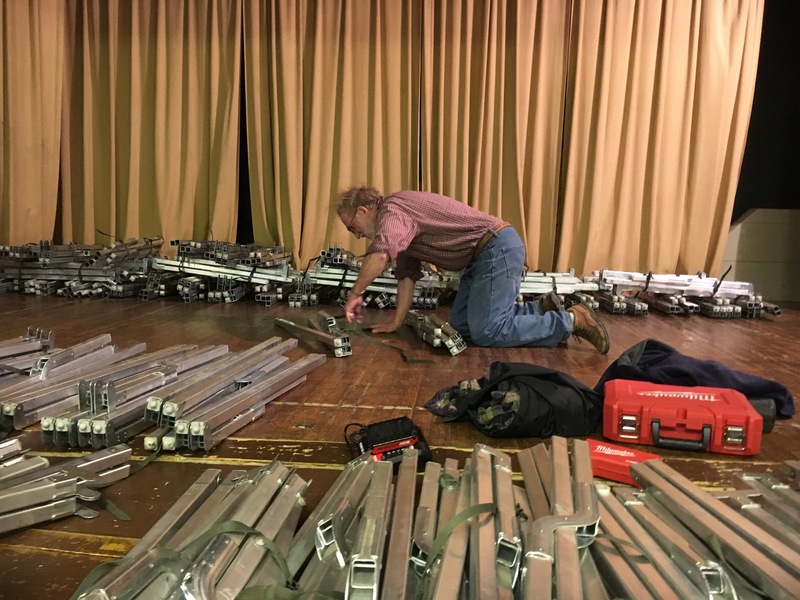 A tremendous amount of planning, preparation and organization are required along with dozens of volunteers putting in thousands of hours to run Our Neighbor’s Place from November through March. Each participating church operates the shelter for a session of two weeks, then it moves to another partner church. In addition to First Covenant, the other participating churches are Holy Trinity Lutheran, Church of the Nativity and St. John the Baptist. This is no small undertaking. “Each night the shelter is open 12 volunteers in addition to Dale and I are needed to run the shelter,” Pat said. “Each night a meal is served, so several people are cooking, and three or four people deliver and serve the meal. We also need someone to come in each night at 6:30 to get drinks and the kitchen ready. 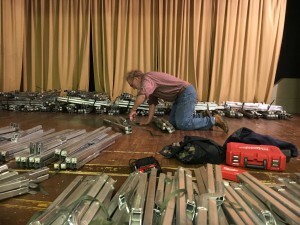 An entire fleet of men is needed each time the shelter arrives and leaves to carry cots in or out, to assemble cots as needed, and to move all the supplies that come with the shelter. During the 2018-19 season of Our Neighbor’s Place, the seventh year for the program, several changes and trends emerged. Community Shelter Services is no longer the umbrella organization for the seasonal shelter. Instead, the Erie United Methodist Alliance is now serving in that capacity. Pat believes this change has been positive. As of April 10, 21 people were moved from homeless to a permanent home of their own. That means success in transitioning guests to permanent housing is possible. However, Dale admits that sometimes this ministry can be frustrating. EUMA Executive Director Kurt Crays said Our Neighbor’s Place seasonal shelter is fulfilling a crucial role in reducing the number of people living on the streets in Erie. 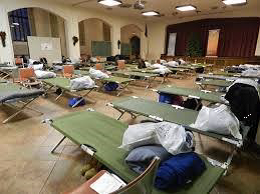 Cots are assembled at Our Neighbor’s Place in anticipation of those who are seeking shelter from the cold. Volunteers for the 2018-19 season witnessed a significant increase in the number of guests seeking shelter – more women and more young adults, including a teenager for the first time, and a record number of men seeking beds on several nights. Pat reported the youngest guest was 17 years old, the oldest 83. Through the ONP experience, Pat developed the Sunday Supper program. On any given Sunday in the City of Erie, those who need a meal will find one at First Covenant. Up until this ministry was started more than five years ago, there was no place in Erie on a Sunday for those in need of a meal to receive one. These outreach ministries have had a transformative impact on Pat. “The impact on my life has been significant,” Pat said. “I now go through downtown looking for people I know. Some people who have been previously homeless are now my friends and I do things socially with them on occasion. I’ve learned over the years that I truly care about the well-being of our guests, and I have a desire to stay in contact with them. Sunday Supper is a ministry that grew out of Our Neighbors’ Place, and that keeps me very busy, and keeps me in contact with the guests year-round. I don’t stop thinking about them or stop helping them when the shelter closes, as I believe this is my calling from God in my retirement. Our Neighbor’s Place and Sunday Supper outreach ministries have had a far-reaching impact, both inside and outside the church. 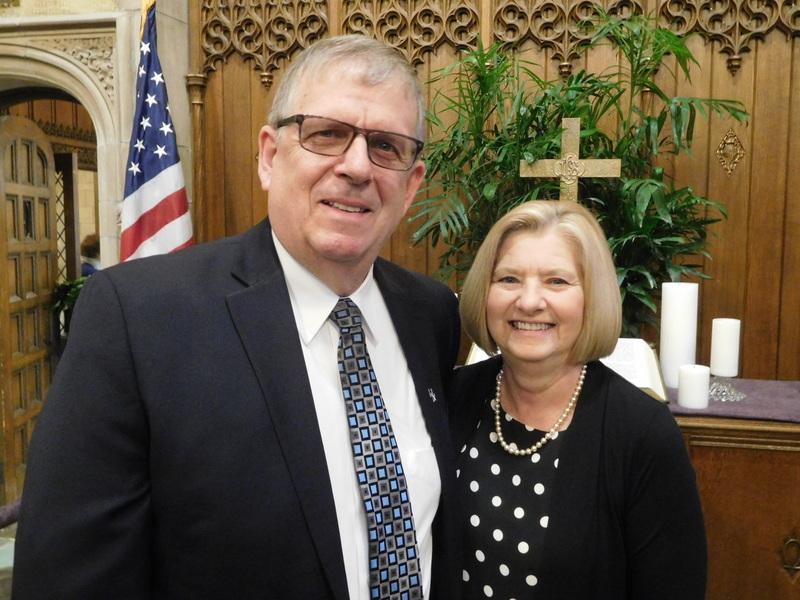 “I believe this ministry has had a positive effect on this congregation, we are opening our doors to the neighborhood we live in,” Dale said. The transformation at First Covenant is palpable in the pews, in the neighborhood and in this community. Dale Sweet and Pat Tracy have been instrumental in the formation of the Our Neighbor’s Place seasonal shelter. First Covenant has experienced a seismic shift since the church threw open the doors to its neighbors – all neighbors. It proved to be the catalyst for this transformation. For Dale, this transformational experience has been a blessing.